Splatting with a hash table. 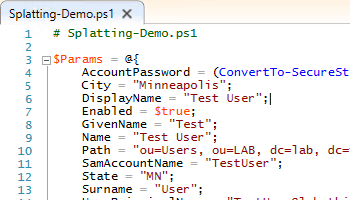 Make your PowerShell scripts easier to read with splatting. 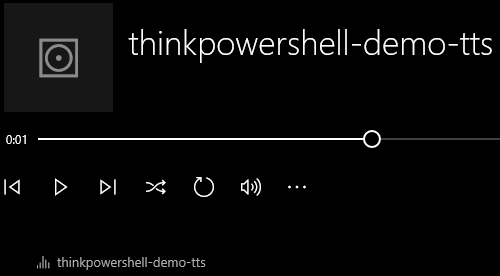 The format of PowerShell cmdlets make them universally easy to use. Enter the cmdlet name, then enter the various parameter switches and values for those parameters. For a lot of commands, everything can fit cleanly on one line and within either the standard 80 character width of a standard prompt or the full screen width of your favorite editor. However, there are going to be times you want to specify a LOT of parameters, and some of those parameter values may be lengthy in nature. The last thing you want to do though is have to start scrolling sideways or trying to wrap your “one-liner” to read it. Need to mix the convenience of DHCP with the consistency of a static IP? Use a DHCP reservation, and create them with PowerShell. DHCP empowers us to automatically assign IP addresses to clients while adhering to standardized rules (address space, lease duration, DNS servers, etc). For most clients, we typically don’t care what IP address the client ends up with on any given day, but for other devices consistently connected to the network, there are benefits to having the device get the same IP every time. A prime example that everyone can relate to is a printer. 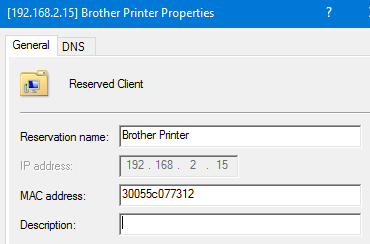 If you have the printer shared through a print server, the print server needs to be able to consistently talk to the printer on a known IP address. “A DHCP reservation is a permanent IP address assignment. It is a specific IP address within a DHCP scope that is permanently reserved for leased use to a specific DHCP client” (tech-faq.com). In the previous post we created DHCP scopes. 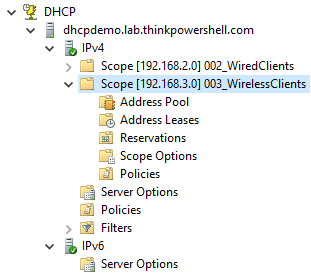 Let’s see how we can use PowerShell to create a DHCP reservation within one of those scopes. Use PowerShell to configure a Windows DHCP server, starting with the installation of the DHCP Server role. If you are running an Active Directory network with Active Directory integrated DNS, you are likely also running Windows DHCP server for managing the automatic assignment of IP addresses to network clients. 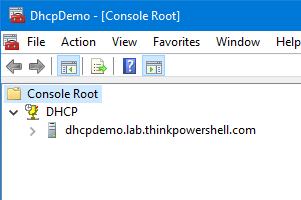 This post is the first in a series of how to install and configure a Windows DHCP Server using PowerShell, which will allow you to author a build script ahead of implementation, as well as handle some transitional activities from a previous Windows DHCP server.